Having regular asbestos re-inspection surveys carried out can be vital if you have asbestos on your property. At Crucial Environmental, we are asbestos specialists with years of experience carrying out surveys, conducting removals and offering advice to clients. Our recommendations are completely fair and unbiased, providing you with an accurate assessment of the current condition of any asbestos found on your property. Our services offer fantastic value for money, ensuring you receive a cost-effective solution to help you stay in control of your asbestos management. If you would like to learn about the asbestos re-inspection services we offer, please contact us today. In order for you to continue to comply with regulation 4 of the Control of Asbestos Regulation 2012 – the duty to manage asbestos – continual monitoring is required of the asbestos on your property. These should be conducted at regular intervals to give you a full understanding of the condition and rate of deterioration of the material. After the asbestos re-inspection, we collate the findings and add the details to your existing asbestos file. Together, this is your new asbestos record and provides you with the information you need to rectify issues that require your attention. 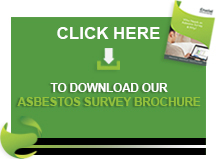 Re-inspecting and updating your asbestos file is far more cost effective than re-surveying the premises. We will re-inspect and put in a management plan even if we have not conducted the original survey. Asbestos survey re-inspections can also be employed after other asbestos material related activities such as post asbestos removal, previous/early inadequate surveys, or repair work. Asbestos removal companies are now subject to tight regulations and removal work on the whole is conducted in a professional manner. Early asbestos removal companies of yesteryear were not as highly regulated as they are today, so it is not uncommon to find residues of asbestos materials after removal has been signed off as complete! If you would like more information on having asbestos re-inspection surveys carried out please contact the team at Crucial Environmental today. You can call us on 01903 297818 or email info@crucial-enviro.co.uk and we will get back to you as soon as possible.